Join us for a very special evening of paella, tapas, wine tasting, and flamenco guitar in our gorgeous garden setting. Select from Paella de Carne or Paella de Pescado (meat or seafood for any newbies!). 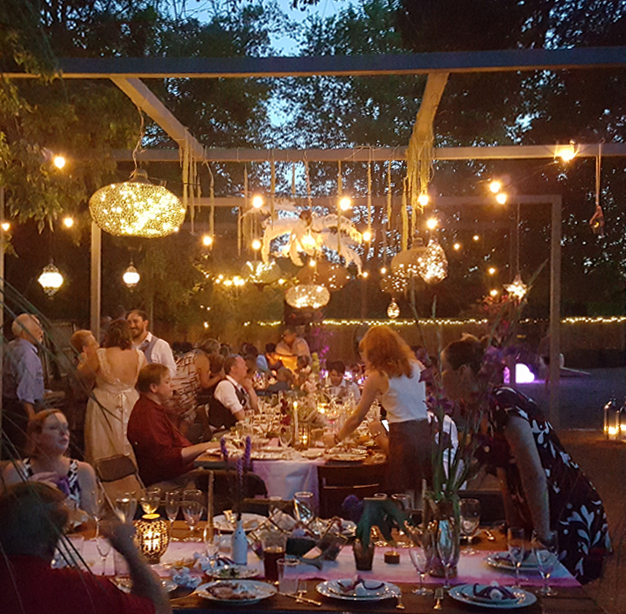 From Valencia to Austin, Mi Paella brings a culinary experience to the Articulture Gardens. 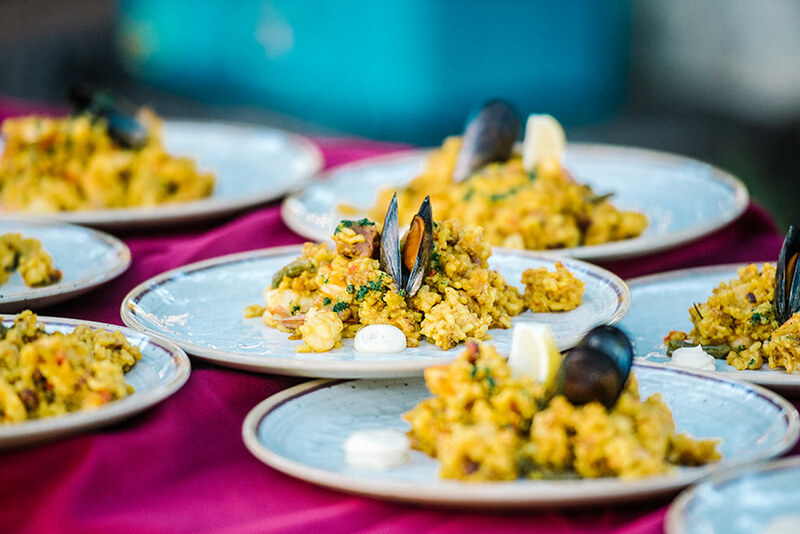 Chef Saúl cooks authentic, larger-than-life paella from scratch in-front of you and your friends while you indulge in a classic Spanish tapas selection. Meanwhile, listen to flamenco guitarist Luisma Ramos, of Sevilla, while Sisi gives a sommelier wine tasting featuring a special Spanish selection. Tapas: it’s a Spanish surprise! Spain is known for many things- the art, the romance, the sounds of tradition dancing between the smell of paella and the strings of a classical guitar being played somewhere nearby, and always having time for a glass of wine with friends. Chef Saúl Arteta, from Valencia, Spain and Sommelier Sisi Berry teamed up to bring that beauty to Austin,TX when they realized the fast paced world of Austin sometimes craves slowing down and reconnecting just as much as they do. NOTE: paella is naturally gluten-free.